The Short Version: Since 1844, the Maryland Historical Society has welcomed thousands of Marylanders looking to learn about the past and appreciate the present. The Baltimore museum’s comprehensive collection of over 350,000 cultural artifacts, including over 2,000 paintings, give visitors plenty to see and discuss as they go from exhibit to exhibit. If you’re there on a date, you’ll find yourself surrounded by conversation starters — from the original manuscript of the Star-Spangled Banner to a tiara Napoleon’s sister-in-law wore. The museum and library also play host to dozens of social and education events throughout the year, including exhibit launch parties, guest lectures, and happy hours. You can become a member of the Maryland Historical Society to join an active community of history buffs and explore thought-provoking exhibits alongside people who share your passions and interests. Anyone active in the dating scene knows the dinner-movie routine gets old after a while. Whether you’re stuck on the hamster wheel of first dates or running out of good films to see with your significant other, sometimes the best thing to do to shake up your love life is to go to an out-of-the-box date spot. Our dating experts recommend taking a trip to a museum because it awakens the senses and prompts deep conversations as you learn about history, art, or culture together. If you’re planning a date in Baltimore, the Maryland Historical Society is a terrific place to build common ground with someone special. 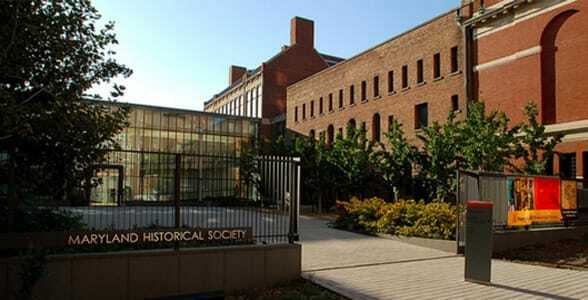 Established in 1844, the Maryland Historical Society is the oldest cultural institution in the state of Maryland. Its museum and library attract visitors from all over the world. Scott Rubin, Visitor Services and Private Events Manager, told us over 100,000 people a year visit the museum, do research in the library, and participate in the institution’s educational programs. An energetic community of history enthusiasts support the Maryland Historical Society. 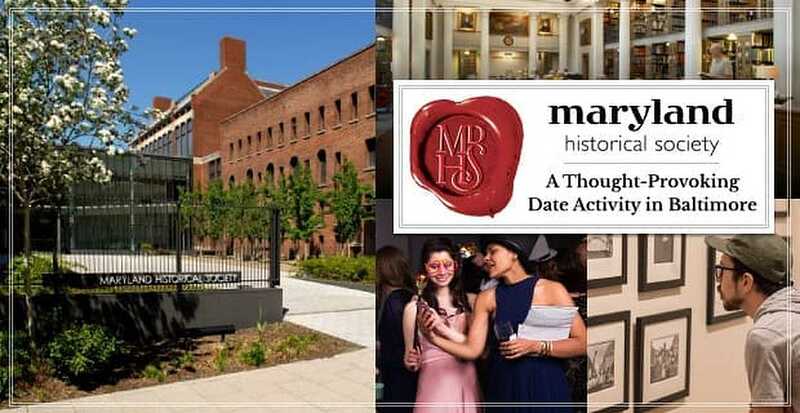 Next time you’re in Baltimore and want to plan an interesting date, check out the Maryland Historical Society. You might just be surprised by all it has to show you. The museum offers a variety of engaging date activities for couples who want to learn and grow together. Plus, if you mention this article to a staff member, you and your date can get in for half-price admission. Can’t beat that! Many people who visit the Maryland Historical Society for the first time are blown away by how modern it looks and how wide-ranging its exhibits are. Scott said the museum’s extensive collection is a hidden gem in Baltimore. Even though he grew up just blocks away from the building, Scott didn’t know it existed until he started working there, but now he and his family regularly visit the gallery and admire the different exhibits. 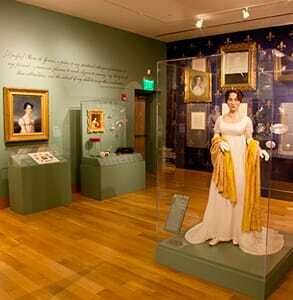 The Maryland Historical Society covers a broad range of topics, including period fashions. Located two blocks away from Baltimore’s famed Washington Monument, the Maryland Historical Society has a prime location in the heart of the city, but it isn’t usually crowded, so visitors can share intimate moments as they gaze upon historical artifacts and journey into the past together. Coming here with a date can give you a world of topics to discuss as you wander from exhibit to exhibit. Visitors can learn more about the life of Napoleon Bonaparte’s sister-in-law or view historical photographs from the Civil Rights Era. The exhibits are constantly changing and updated to offer interesting insights about the past and ask thought-provoking questions about the future. At the beginning of every year, the museum’s team puts together a calendar of events and exhibits to entice new and old members to make a trip to the Maryland Historical Society. You can browse through upcoming events here or sign up for the free monthly e-newsletter to find out what the museum has in the works. The institution’s social events satisfy curious minds with brilliant displays and bring people together over a love of history and culture. A Woman of Two Worlds is an exhibit detailing the life of Elizabeth Patterson Bonaparte, sister-in-law of Napoleon Bonaparte. Whether you’re interested in attending a lecture series or dancing the night away at the semi-annual gala, the museum hosts an array of lively and educational events focused on different aspects of history and culture. At launch parties for new exhibits, for instance, you can sip wine and nibble on appetizers while viewing folk art, Colonial furniture, Civil War artifacts, and other eye-catching displays. The loyalty of its members keeps the Maryland Historical Society’s doors open all year round and inspires the team to continually expand its collections and services. The people who love it here really love it here. Some couples have even chosen the Maryland Historical Society as their wedding venue! You can say your vows in the museum’s outdoor courtyard, which holds up to 250 guests, and have a classy reception in one of the art galleries, which can seat up to 160 guests. The incredible exhibits at the Maryland Historical Society wouldn’t be possible without the dedication of a highly skilled and industrious team. Scott described the museum’s staff as a tight-knit team of trained professionals who know what they’re doing and care about doing it well. The modern facility offers visitors a fresh look at history in creative displays, such as the Structure and Perspective exhibit. This exhibit features the works of local artist David Brewster. Each original painting is paired with relevant artifacts from the museum’s extensive collection. Plus, an interactive display showcases the voices of people in the Maryland community throughout the installation. The Young Defenders’ bashes help local singles meet people who share common interests. Additionally, the Young Defenders, a committee of enthusiastic history buffs, get together to plan fun social events for the Maryland Historical Society’s most youthful and outgoing members. You don’t have to be a member to go to a Young Defenders gathering. 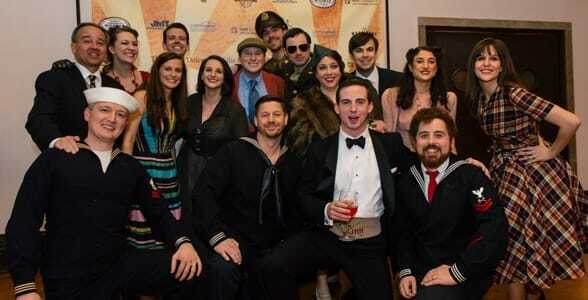 From old-timey bike fests to fancy evening galas, the organization’s wide-ranging events appeal to all Marylanders who enjoy the quirky company of history buffs. Scott said they’re currently planning an 80s-themed party in May and a LGBTQ event in June. If you want to get unstuck from your dating routine, head to a museum and start a conversation with someone special. Historical artifacts and works of art often inspire people to think deeply about the world around them and connect with their loved ones in new ways. The Maryland Historical Society invites people to step into the past and learn about historical figures and culturally significant periods that shaped the America we know today. Every year, thousands of Baltimore residents linger over the museum’s world-class displays, which are designed to stimulate meaningful discussions among visitors of all ages and backgrounds. At the Maryland Historical Society, couples can spend hours learning and conversing in a quiet setting. Anyone can enjoy the hands-on exhibits and dynamic events organized by the Maryland Historical Society’s team. From kayaking among sunken WWI ships to rubbing elbows at an exhibit opening, the museum gives people the opportunity to explore history through different lenses — which is a wonderful way to liven up your dates.